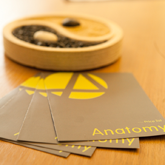 Here at Anatomy in Chester we have a highly skilled therapist in Reflexology. Reflexology is a relaxing and non-invasive therapy that works on pressure points on the feet and hands to relieve sources of discomfort in other parts of the body, allowing the whole body to be treated through the feet. 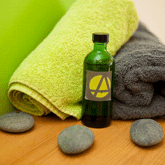 It is an effective means for promoting good health and relieving stress. The body is mapped out on the feet, with a system of longitudinal energy zones linking areas of the feet to parts of the body. During a treatment the therapist will use their thumbs and fingers to apply pressures to these different areas on the feet and if a part of the body corresponding to the reflex area is out of balance then some tenderness will be felt in the foot when pressure is applied. In some areas there may be a sharp feeling and in others a slight pain, but these feelings should never be very uncomfortable; in areas corresponding to parts of the body that are in balance, then just the feeling of pressure will occur. It is suggested that a wide range of disorders can be helped by reflexology, including problems such as migraines, sinus congestion, backache, digestive disorders, hormonal imbalances, and circulatory problems. Reflexology does not claim to be able to cure all disorders, but there are very many instances where treatment can be of great benefit. Each treatment will last for approximately an hour, and for most conditions a course of treatment will be required. During this course improvements will start to be seen as symptoms will reduce on both a physical and emotional level leaving a feeling of overall well being.